Sanchez-Guajardo, V., J. A. M. Borghans, M.-E. Marquez, S. Garcia, and A. A. Freitas. 2005. Different competitive capacities of Stat4- and Stat6-deficient CD4+ T cells during Lymphophenia-driven proliferation. J. Immunol. 174: 1178–1187 . 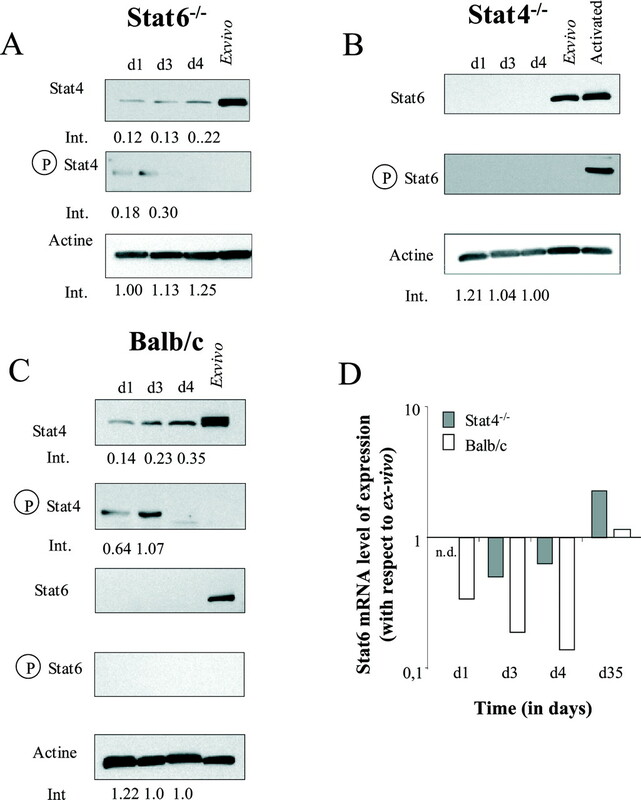 In Figure 3, the blot representing Stat4 phosphorylation was duplicated by mistake in panels A and C. This correction does not affect the validity of the study or its conclusions. The corrected figure⇓ is shown below.